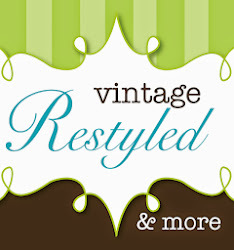 Vintage Restyled: A $50 GIVEAWAY! 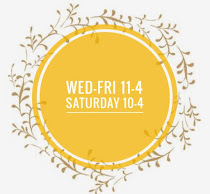 Shabby Apple offers everything from dresses and retro swimwear to vintage jewelry, maternity wear, shoes and lots of yummy accessories. They literally have something for everyone! I am so excited that Shabby Apple is offering one of my readers a Grand Prize Giveaway of a $50 gift card! I absolutely love the peplum waist on this dress! It comes in yellow, which is my spring color of choice. Or perhaps you want to add a bit of retro chic to your spring wardrobe. This Breakwater top is darling! "Like" Shabby Apple on facebook and then leave me a comment saying you did so. “Like” Vintage Restyled on facebook and then leave me a comment saying you did so. Last but not least: visit Shabby Apple and come back and tell me what you can’t live without. The winner will be selected randomly and announced on Friday, March 22, 2013. In addition to the GIVEAWAY, Shabby Apple is giving everyone 10% off with the coupon code: VINTAGERESTYLED10OFF, which is good for the next 30 days. It’s the perfect excuse to shop! THIS GIVEAWAY IS CLOSED. Good Luck! I liked Shabby Apple on FB. I have been following your blog for a long time! I have liked your FB page for awhile as well. I love the "Love" pillow cover on their website! i just liked your facebook page too! i like their skirts, but i would probably spring for a dress. the peplum and the alice caught my eye! My fav item is the santa monca dress. I love the Hari Om shoes! 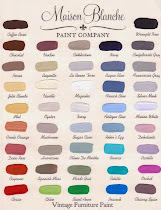 I Am a fan of shabby apple on fb. I have always wanted one of shabby apple's bathing suits. Maybe now's my chance! I like Vintage Restyled on FB. I REALLY want the Bampton dress! I love the Alice dress! Thanks! I would love love love to own the Alice dress. So cute! Great giveaway, thanks! I like you on Facebook as Allison Hills. Picking just one item from Shabby Apple is just too difficult! I have two favorites: the Sacred Falls dress and the Golden Afternoon dress. They are both so gorgeous! I love the Calliope dress from their new Ferris Wheel collection! Love the Blue Racer Skirt!! !